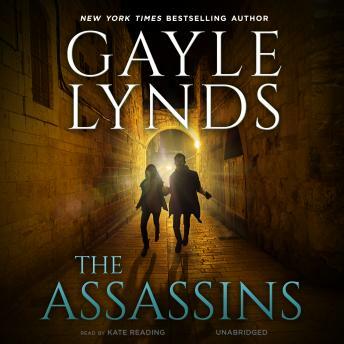 Listen to "The Assassins" on your iOS and Android device. Six master assassins—each a legend in the dark corners of international espionage—band together to steal a fortune from the middle of a war zone. But the mission goes tragically wrong, and they retreat into the shadows. Now the assassins are back. Former military spy Judd Ryder is walking to his DC home when he spots his doppelganger across the street, a man who is wearing his clothes and pretending to be him. As Ryder slows to follow, the impostor is killed in a hit-and-run that’s no accident. Was the man the intended victim, or was it Ryder himself? Ryder soon learns that the key to the mysterious events of the past and to his double’s murder is an infamous Cold War assassin known as the Carnivore. Two of the last people to see the Carnivore were Ryder and CIA trainee Eva Blake, and someone is using them to lure him out. From Washington, DC, to Marrakech and Baghdad, the assassins wage a final battle—this time against one another—fighting for their reputations and Saddam Hussein’s long-missing billion-dollar fortune. In the end, only one can be left standing. Caught in the crossfire, Judd and Eva go on the run while desperately unraveling the tangled past and battling not only for their lives, but for their destinies.